Immortal Hulk is one of the best and hottest series from Marvel since last year. Al Ewing’s writing with Joe Bennett’s pencils and Ruy Jose’s inks are combining to produce one of the best Hulk stories in a very long time. Ruy is up for an INKWELL AWARD for his amazing work on the series. Voting ends Friday so go out and vote today! My vote has been cast! 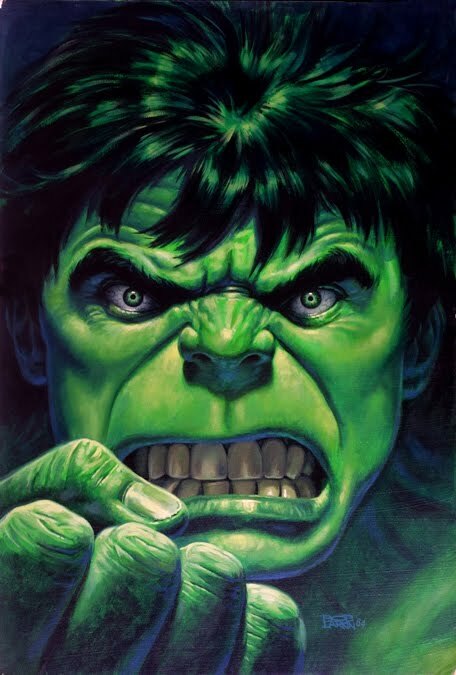 Happy (2 days belated) 83rd birthday to the greatest Hulk artist and one of the greatest all time Marvel artists to pick up a pencil. Sal will always be the definitive Hulk artist from my perspective and I am forever thankful for his contributions to the comic book world. Sal is still going strong and working in the industry, taking on commissions, and being a great human being in the process. If you haven’t already listened to the Sal Hulk podcast from a few years ago, give it a listen and I promise, you won’t regret it! Wondering where your favorite neighborhood Jade Giant has been? I have been working on another JG related project that I am hoping to unveil soon. 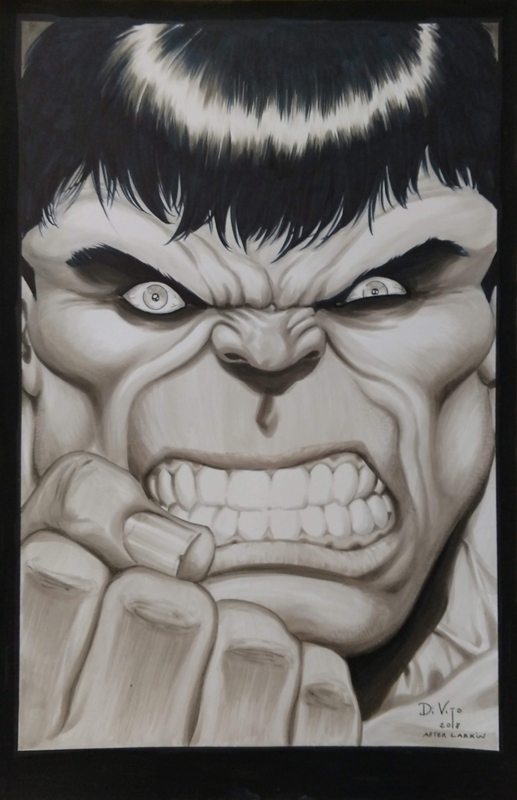 I am proud to be the art representative for the amazing artist Joe Bennett (who I am sure you know to be the current artist for the acclaimed IMMORTAL HULK series)! Check the link below as this will be the homepage for the site. You can also sign up for news and updates, including the announcement of new art becoming available. The 2 newest additions to the Bob Larkin Hulk Poster Homage series are by Andrea Di Vito (I shared this previously and finally got my hands on it so sharing again) and Justin Mason. I was able to set up the piece with Andrea after his list opened up a few months back. I really enjoyed the his art in the Xmen vs Word War Hulk story arc several years ago and was thrilled to get his art into the collection. The Justin Mason piece literally showed up at my doorstep one day as a complete surprise. It turns out it was a birthday gift from a friend and fellow collector who knows about my themed collection. What a great birthday surprise! (and thank you to me friend who asked for anonymity). Enjoy! Click for full size and stay tuned for the next installment – Stuart Sayger! 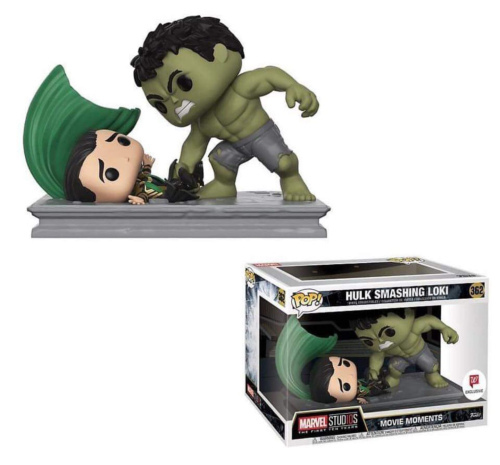 New Hulk vs Hulkbuster Funko Movie Moments Pop available now at Walgreens! 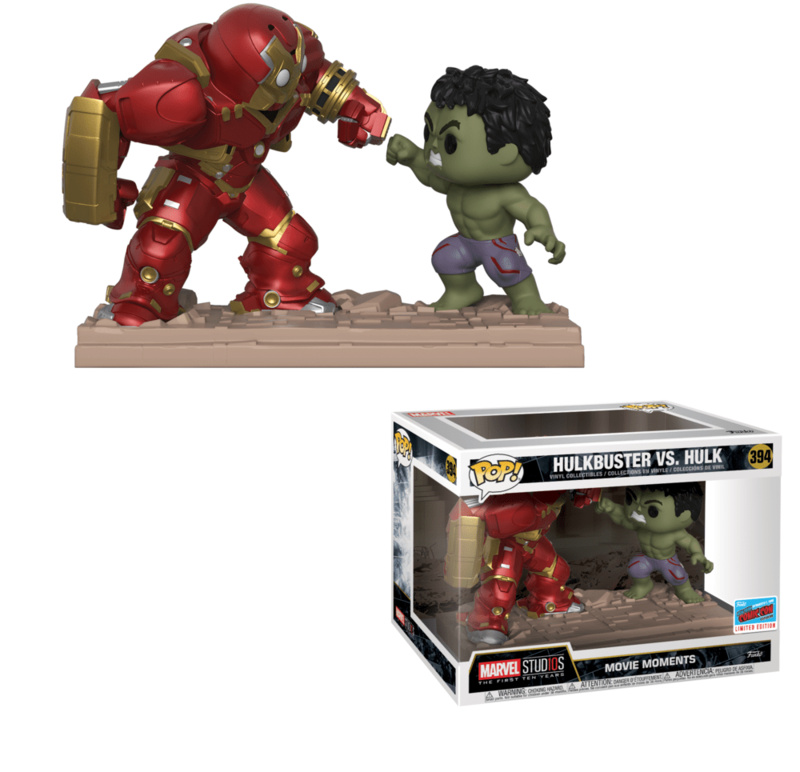 If you are looking for the Movie Moments Hulk vs Hulkbuster by Funko, head over to Walgreens web site and get one today. FREE SHIPPING! I am a huge fan of Chris Uminga’s artistic style. DC Comics appears to be a fan as well based on the series of vinyl figures they have released based on his artwork. I discovered Chris at a Chicago comic show back in 2006 before he was the well-known artist that he is today. 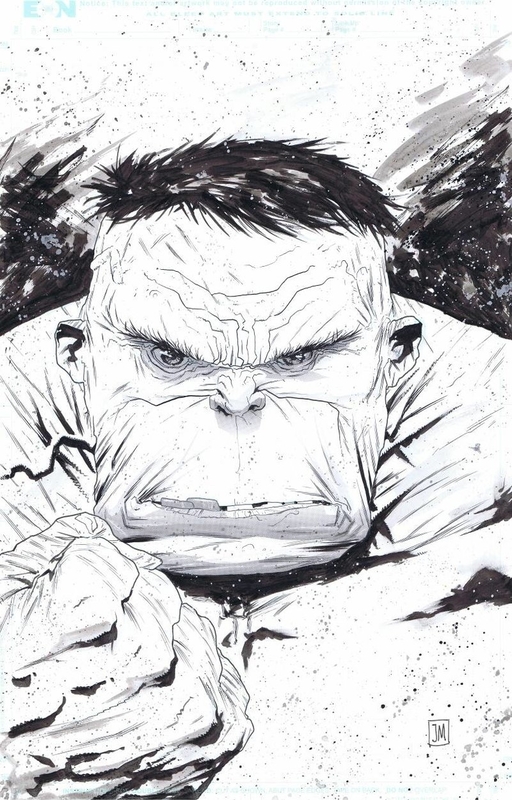 Several years ago, I asked him to create an homage to the Bob Larkin Hulk poster in his signature look and was extremely pleased when I got this back. This is the only color version in the gallery as it was done very early in the collection, right before I decided to keep all the pieces black and white in contrast to the original painting by Bob Larkin. Big thanks to Chris for a great piece, to Bob Shaw who helped set this up, and to my buddy Drew who picked it up at NYCC back when it was completed. 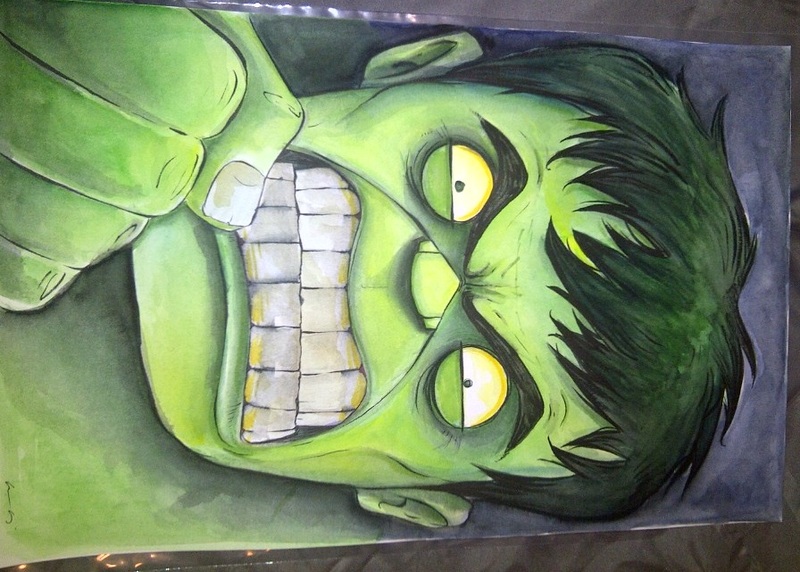 Hulks are Popping up everywhere! 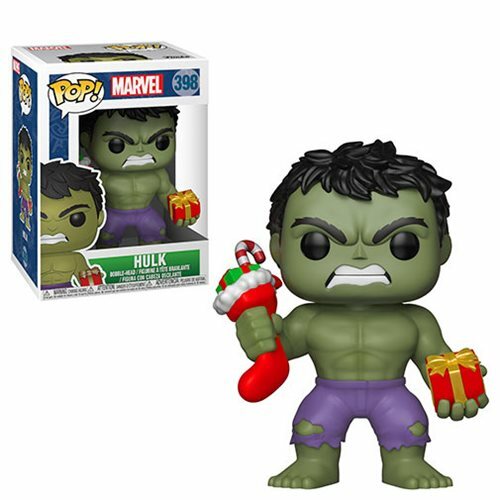 It’s a great time to be a Funko Hulk fan! I have been a huge fan of Funko for many years and really enjoyed collecting the Wacky Wobbler bobblehead series. 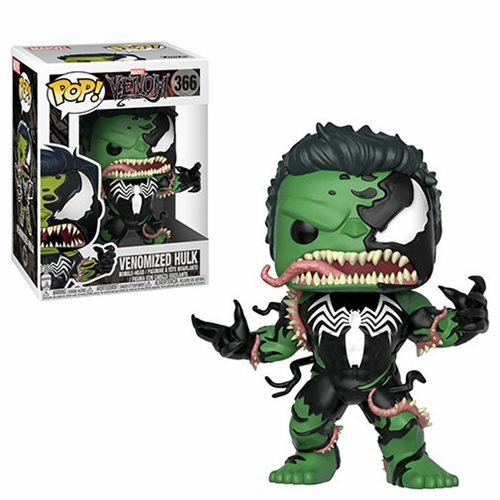 Then Funko really raised the bar with the introduction of the Pop series which are currently ridiculously popular. Personally, I can’t get enough of the Pops so I was thrilled to see several new versions in 2018. 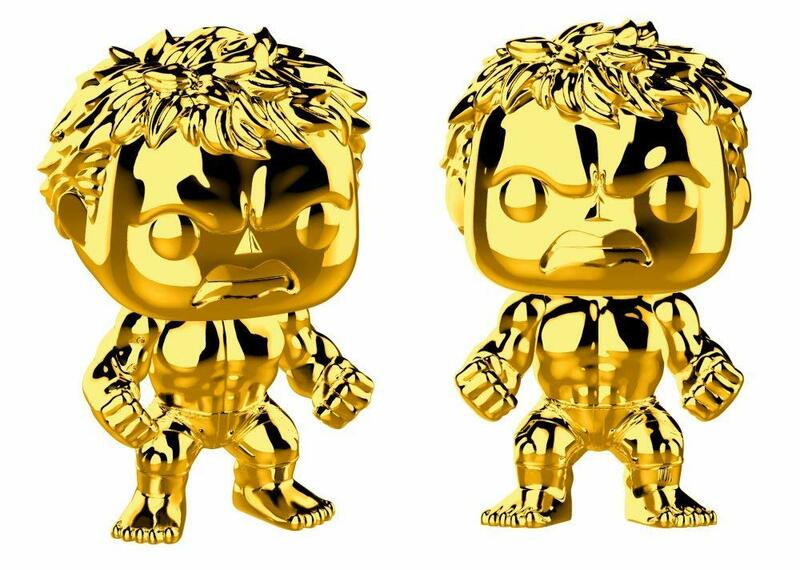 Listed below are some of the new Hulk Pops coming out – I will be chasing them all. Click to enlarge. 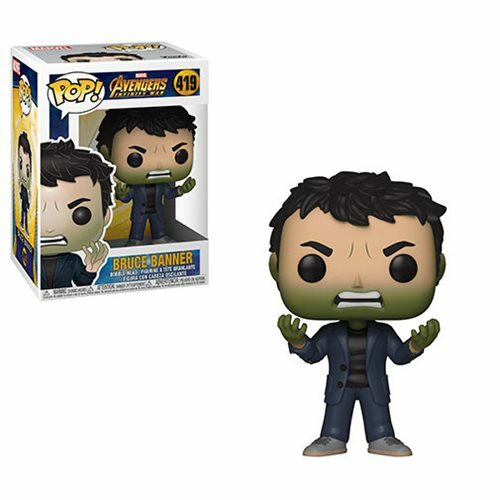 If this has you wondering how many Hulk Pops have been released, click here for an online checklist. 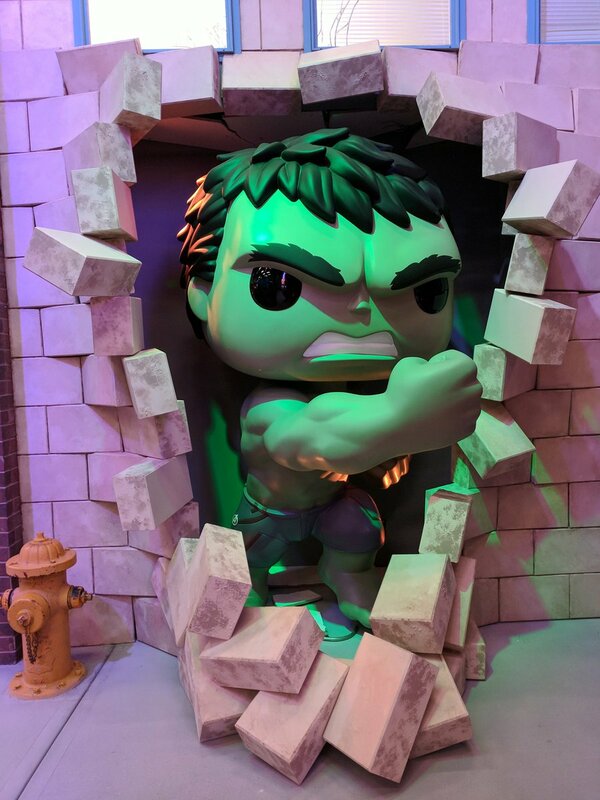 And just for fun, check out this awesome life-size Hulk pop at Funko HQ! Sculpted Hulk: Statues, busts, etc.